Striking indoor plant - Ideal for conservatories. A distinctive gift plant for any occasion. Evergreen-Grass like leafy plant with small flowers. 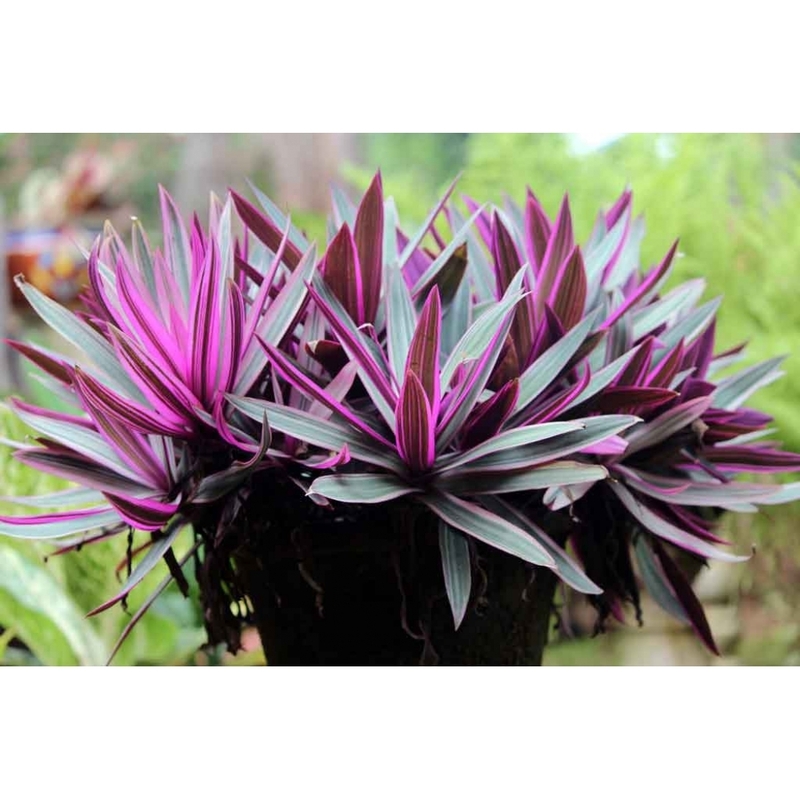 The Purple Inch Plant is a striking houseplant that will add colour to any room. Their variegated leaves add pattern and distinction to the plant, with its purple, green and white coloured leaves. The evergreen grass-like leaves arch from the plant and will last all year round. The Purple Inch Plant is an easy to grow and care for plant, that will offer something different to your home with its small, jewel-tone 3 petalled flowers. These will bloom throughout the year, though generally during late spring-summer time. Inch Plant will be a modern, colourful addition to conservatories, kitchens and windowsills.